Hey all! How are you on this fine evening? I am amazing! My favorite band played a concert on Sunday, and I am still giddy from that. Any MSI fans out there? I touched Jimmy's face... My life is complete. Oh, so nails!! 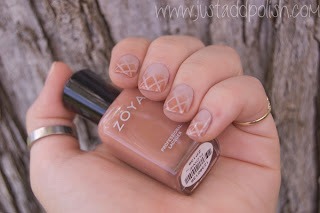 This untried challenge is Neutral! I used 2 lovelies on this one. Check it out! This is Zoya Kennedy and Flowie. Flowie is the bottle I am holding, the lighter of the two. 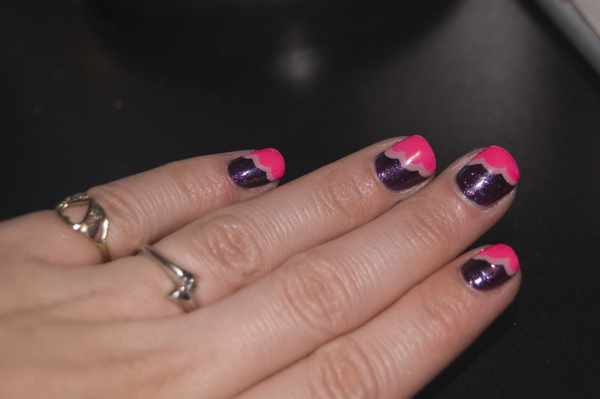 Striping tape gradients are always so much fun! I'm glad to have finally gotten to use these two lovely colors. And they look great together! Bonus for you today. 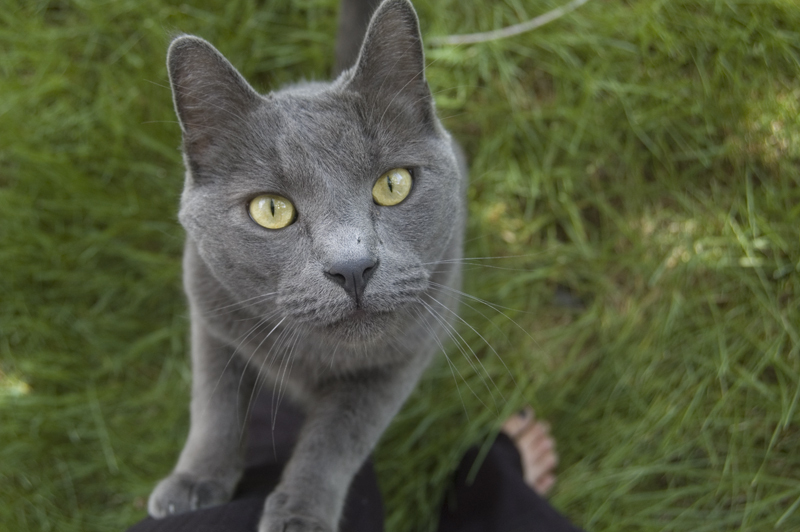 While I was outside, Hamlet decided to pay me a visit while taking pictures. He's such a sweetie!!! Short post today, gotta get over to Masha's house to do stuff that bloggers do when they aren't blogging! Speaking of her, check out the others who are participating in this challenge!!! This challenge is to use 3 untried colors. I also decided to do another design I've never done. Clouds!!! BUT, The design is just fine, and the colors(mostly) are lovely. Are you digging that bright pink? 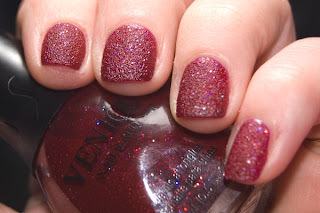 Stay tuned for some more Venique swatches from the Sweet Little Addictions collection!!! Don't forget to check out the other ladies participating in this challenge! 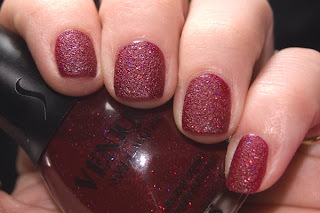 Here are some Venique swatches for you! Be warned: All of these pics could use a bit of focusing. Glitter is hard to shoot! And, as we all know is my least favorite polish ever! !But it's been a while since I've done swatches, so i am up for the challenge. Here we have it! Here we have Hurray Huarache. I think that's a food?? I am not sure how to pronounce it... This blue and the two to follow are a part of the Hells of Glitz collection. The dry almost textured. Which would make sense because of the amount of glitter! This is 2 coats. The base is clear, and would look better over a blue of similar shade. It's match in the collection is Heavy Metal Tapping (see a swatch on this post). Of course that would be the best match! This is Slingback Fun. I only have one pic because it was incredibly hard to get any in focus! This one kinda works. 2 coats. 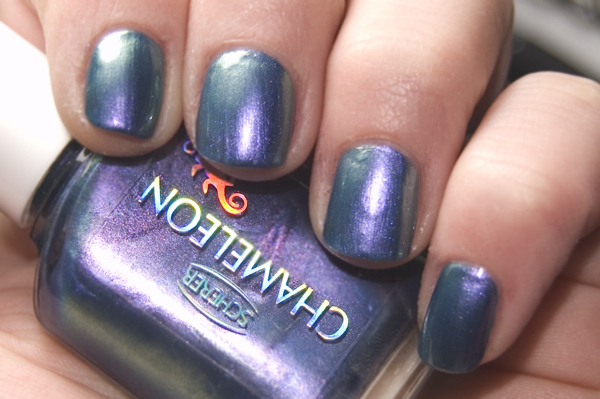 Like the blue of the collection, the base is clear and would look far better over a pink of similar shade. If the Shoe Fits? is the match in the collection. Sadly, I don't own that one. Shoe Allure is the final glitter in the Heels of Glitz collection. Clear base as well on this one. Also 2 coats in these pictures. I'm so much more drawn to purple than the other two colors of the collection. So this is my favorite of the the 3! The match is Strapped and Concealed. Again, I don't own that color either. Sad face. Last but not least is one I've had for a looong time now. 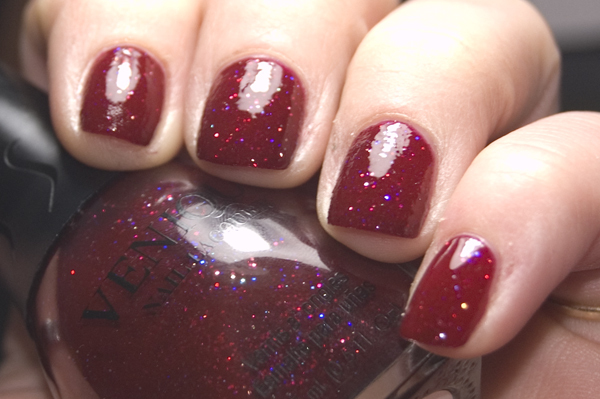 Deviant Little Sneaker is a purple based glitter with silver and red. Given the nature of glitter, it's a bit textured, but it wasn't advertised that way. 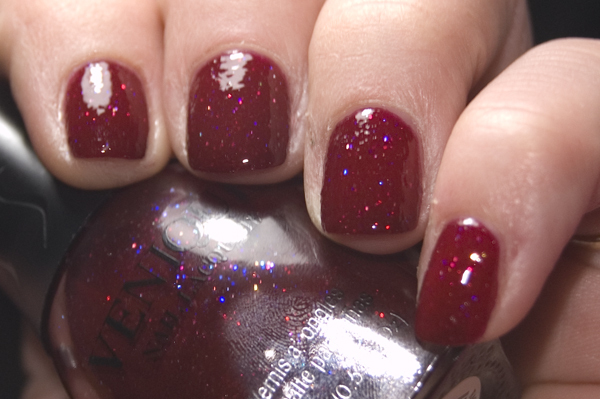 The first pic here is 2 coats, and the second and third are 3 with topcoat! I needed this one shiny! So I think I'm going insane about this polish. My mind and the bottle tell me I've used it before, but by blog says otherwise. 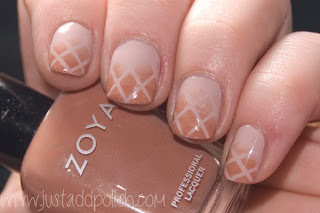 Looking at these pics I think I know what it was: I wanted to swatch it, but it's horrible to shoot! 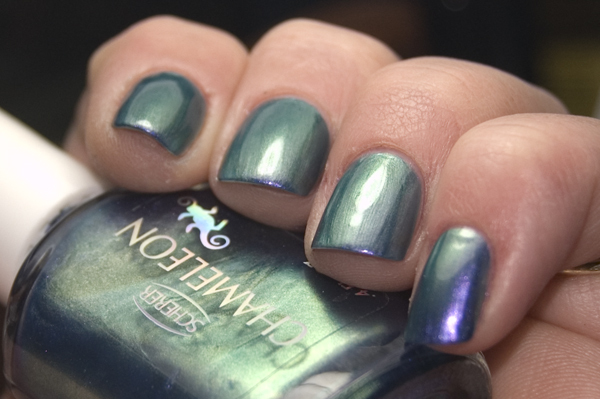 I must have swatched, shot and scrapped it because the pics didn't turn out. Not this time, though! I'm sticking it out so you can see the pretties. Quick note about the pics: I'm not really professing to be a photographer here. I took all of these pics in the exact same light, same camera, same place etc. I have yet to figure out why my skin can't pick a tone and stay with it. Oh well! Also if you were questioning it, yes I did lose my other glitter swatch post. It only had 17 views, so no big deal. Also it was missing some glitters. Hey all! It's the second challenge YAY! Don't forget, this is an "Every Third Day" challenge. This calls for two colors from my untried stash. I'm loving seeing all of the interpretations of what this challenge means. Others took 'one color' as say, blue, and used multiple shades to do their challenge. I love that! Not what I had in mind, but it's correct, nonetheless! I love how many are joining in on this challenge! I'll get you all tagged, I promise! WOWZA! I am so pleased with this picture! I don't know what it is about the glare making it so you can't even see the design, but I LOVE it!! This one too, but not as much. These were right under a florescent lamp, with flash. The rest aren't as fancy. 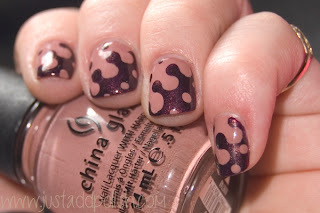 The two colors here are both China Glaze. We have Dress Me Up from the Hunger Games collection(I'm still missing a few of those... Sadface.) as the bottle I am holding. 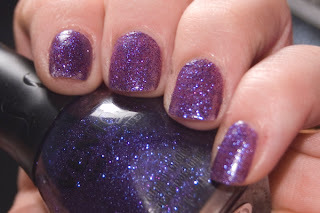 Side-Saddle is the deep purple shimmer, although it looks brown in the bottle. No biggie! 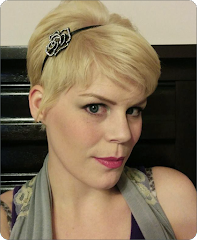 I bought Side-Saddle within the first few months of having my blog. I can't believe it's gone unused for so long; It's so pretty! As far as Dress Me Up, I knew I loved it. I just never got around to using it. Bonus! This is also an untried design! I've never done interlocking dots before. It was kind of a challenging design. It's hard to judge where to put the initial dots so that your second color fits well enough. You'll notice the different sized dots along the middle. Oh well! Hey everyone! I'm VERY excited to start my new challenge with some lovely lacqueristas! I recently posted this challenge and a few others are joining me. It's going to be awesome!!! So PLEASE check out the other lovelies who will be joining in on this fun. I think it was untried for a reason! 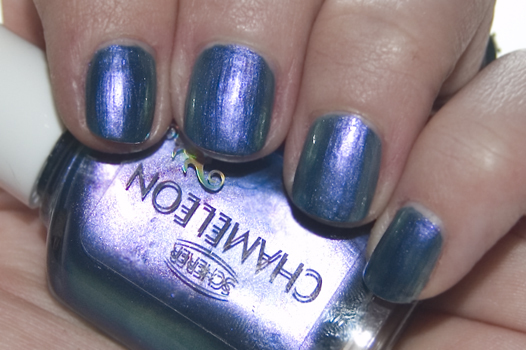 Scherer Chameleon Sky Blue. I bought it >1 year ago. It sat there in its bottle separating and looking all duochromey. I was just never that attracted to it! After applying it I was right to not be. The formula is ok, but seems to dry a bit too fast for my slow application. I have never liked the look of the pearly finish, because it always streaks... Streaks make my pictures look worse! IRL, the color is nice, and the duochrome is actually pretty decent. 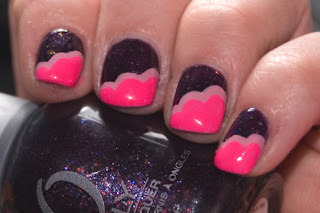 I had to apply multiple coats of Seche Vite to smooth out the look of my nail's ridges. 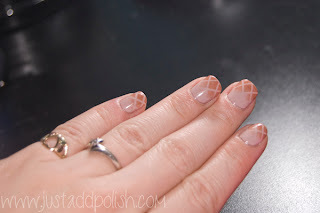 Usually a polish will do that for me, but this one shows every flaw in my nails! As seen in these new pics, I redid this swatch with a coat of SV under the polish and over the base. MUCH better! Feel free to do this challenge at any time! I am no longer working on it, so whenever you want to start, please do! Go at your own pace and have fun! Get a group and do it together. Just have fun! Hey all! If any of you are like me, you have WAY too many polishes that you've never used. They just sit on your shelf or in your drawer looking super pretty and untouched...I decided I needed a really good reason to use them, so I created this fun and simple challenge! I've looked all over the interwebs to find a challenge like this, but I didn't find one quite the same, so I had to make one!! 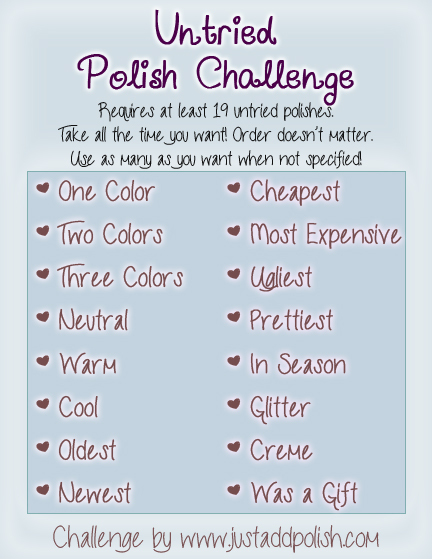 I will begin this Untried Polish Challenge within the week, and I'd LOVE it if others wanted to try this challenge as well! This challenge is especially for collectors who have many untrieds. The minimum is 19, but I plan on using many more than that! Of course, if you don't have 19, do it anyway and just get rid of the challenges you don't want to do! If you don't have one for every specific challenge, use a color that is the closest match. Choose wisely, because you can't use the color again! The order doesn't matter, so use those colors however you need to. I can't wait to see some of your polishes, and I can't wait to share many of mine! If you are interested in joining the challenge with me, let me know in the comments. I'd like to start on Sunday, then do one mani on every third day from there out. Please let me know if you'd like to join so I can be sure to tag you in each post! [Edit] Post your blog in the comments if you will be doing this with me! This way I know exactly who to tag.